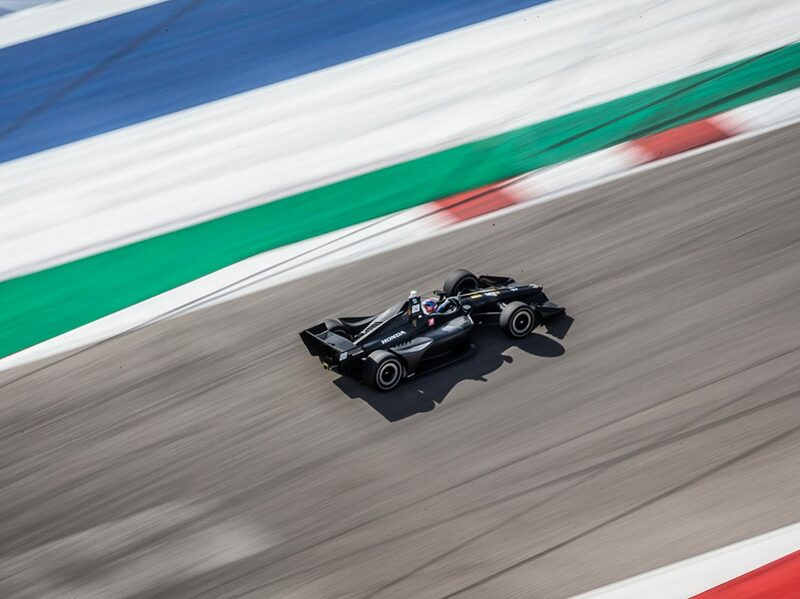 AUSTIN, Texas – If 11 hours and more than 8,000 miles of on-track testing over two days showed anything, it’s that the NTT IndyCar Series fits in marvelously at the sparkling Circuit of The Americas and the competition will be deep and intense in the 2019 season. Twenty-five drivers completed 2,367 laps at INDYCAR Spring Training, the only officially mandated testing prior to the NTT IndyCar Series season opener, the Firestone Grand Prix of St. Petersburg on March 10. Rookie driver Colton Herta surprised many by turning the fastest lap on the 3.41-mile permanent road course and topping the timesheet in three of the four sessions in the No. 88 Harding Steinbrenner Racing Honda. Savvy veterans were close on Herta’s heels, however, with Alexander Rossi, who led Wednesday’s final session, Ryan Hunter-Reay, Will Power and Simon Pagenaud rounding out the top five on the combined-session speed chart. It left drivers and fans alike itching for the season to begin and the return next month for the IndyCar Classic on March 24, the first Indy car race hosted by COTA. Herta, the 2018 Indy Lights presented by Cooper Tires runner-up who made his NTT IndyCar Series debut for Harding Steinbrenner Racing in last year’s season finale at Sonoma Raceway, set the overall best lap of 1 minute, 46.6258 seconds (115.132 mph) in Tuesday’s afternoon session. The 18-year-old Californian backed it up by leading Wednesday’s practices and running second to Rossi in the afternoon session..
Herta and fellow NTT IndyCar Series rookies the likes of Felix Rosenqvist (sixth on the combined speed chart), Marcus Ericsson and Santino Ferrucci have only added depth to a full-season field of drivers already considered the deepest in motorsports. “Every year it just gets better and better, which is a testament obviously to the series and the value that drivers are placing on it,” said Rossi, the 2016 Indy 500 winner and 2018 NTT IndyCar Series championship runner-up. “We’ve seen guys come over from Europe, which is a super positive thing. I would completely agree that 2019 will be the most competitive season that I’ve been a part of.